One of the best and most popular tavernas of the island with tastes and flavors from all over Greece. 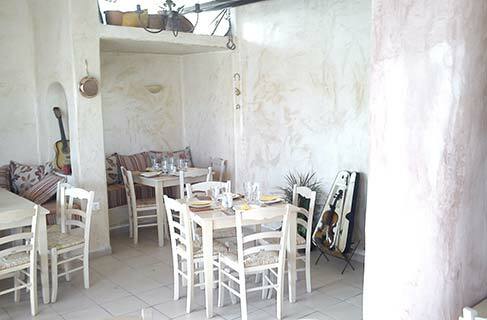 On the central square of Imerovigli, in the beautiful and cosy courtyard with the relaxing ambiance, you can enjoy delicious and economical dishes made of the best raw materials from Santorini and the rest of Greece. Start with home-made bread and go on trying irresistible meat, fish and pasta dishes. All new special dishes proposed for the Year of Gastronomy are exceptional. Reservation necessary.